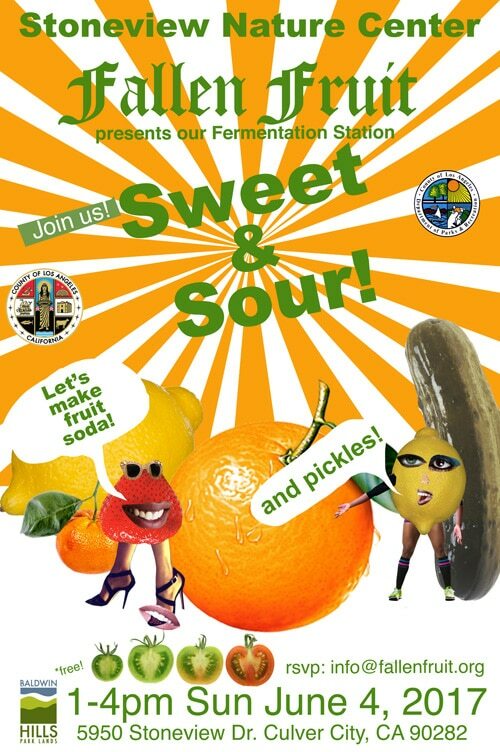 The zine workshops will result in the creation of a Fallen Fruit San Bernardino Magazine, celebrating our countywide community! Printmaker David Burns and Austin Young of Fallen Fruit along with guest artist Uncle Bacon (a.k.a. Bob Hurton) and Inlandia Poet Laureate, Nikia Chaney help guide participants through collage, illustrations and short written text. The final document is an electronic PDF available free for download. 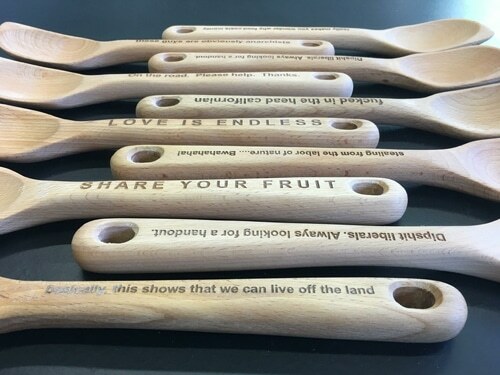 The Endless Orchard events included a public fruit tree adoption at the Feldheym Library, and a “plant the perimeter” event at the Garcia Center for the Arts. What if instead of going to the grocery store for an apple, you just walked outside your door? 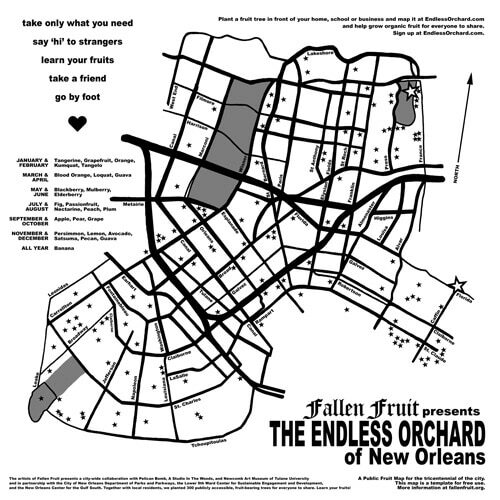 Fallen Fruit helps the community to create a real living fruit orchard planted by the public, for the public – a movement of citizens transforming their own neighborhoods. 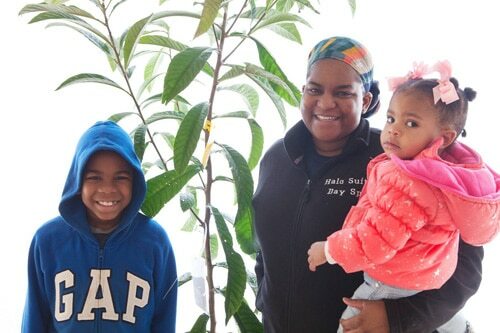 Neighbors adopt fruit trees and plant them next to the sidewalk to share with the community. Participants sign an adoption form, agreeing to care for and share the fruit tree. Trees are mapped on the San Bernardino Endless Orchard Map- where anyone can map, plant and share fruit. The anchor of this map will be 12 trees planted on the grounds of the Garcia Center for the Arts. 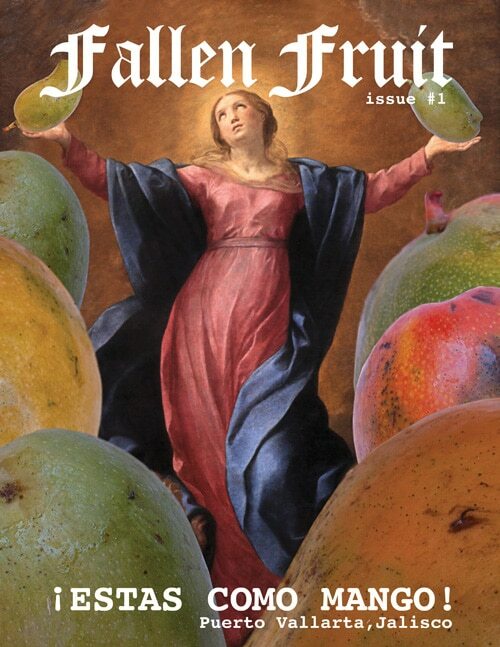 We are happy to announce we are offering selected Fallen Fruit artworks at Jackson Fine Art! 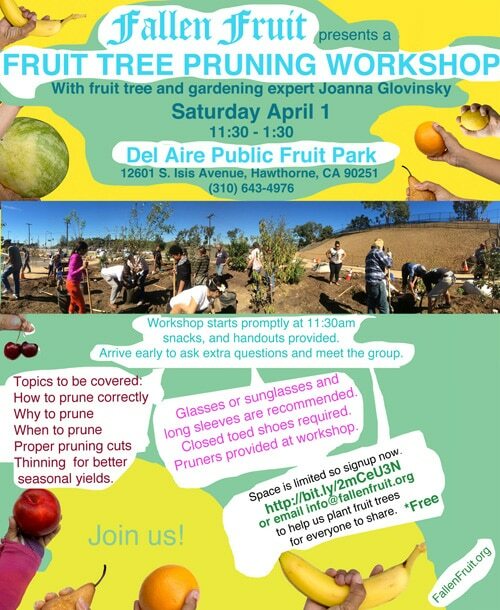 April 1st at Fallen Fruit’s Del Aire Public Fruit Park. Join Us! 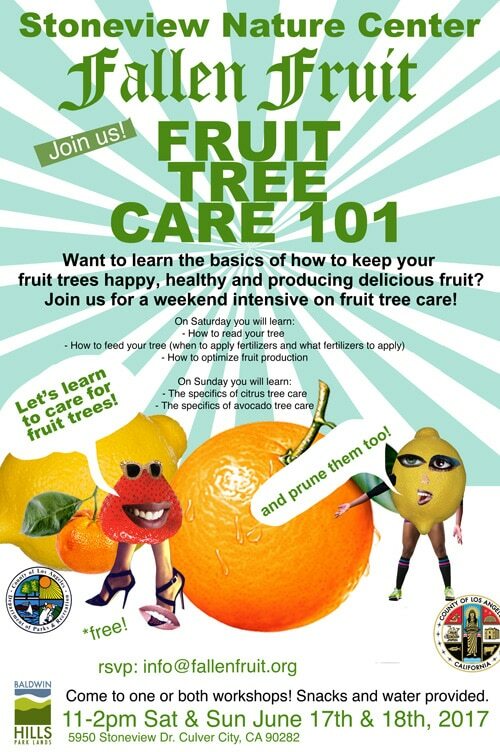 Let’s take care of the fruit trees we planted for everyone to share! To family and friends and EVERYONE who has made this past year wonderful….We wish you all the abundance and beauty that life can provide to you in 2017. 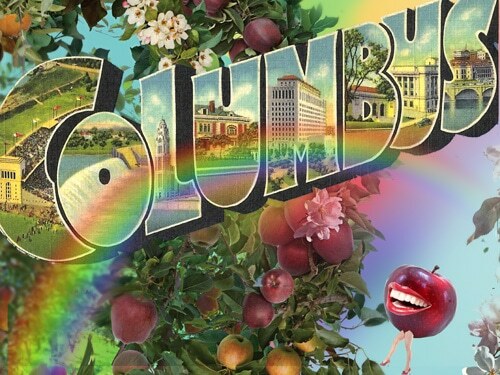 Join us in making 2 fruit parks and an exhibition with the Wexner Center for the Arts in Columbus, Ohio. Sign up to volunteer for the community fruit tree plantings HERE. The Endless Orchard in Buffalo NY . 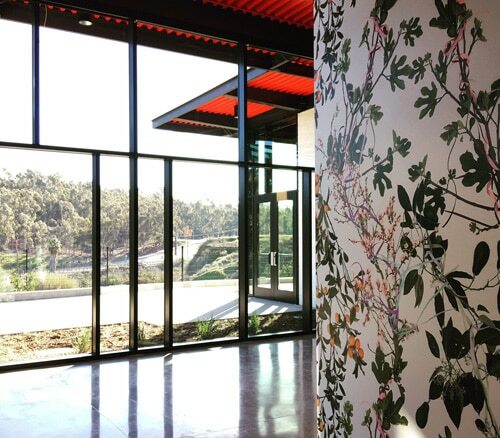 The Stoneview Nature Center will open for everyone to enjoy! Come hang out there with us! opens early spring in Baldwin Hills in early 2017. Fallen Fruit of New Orleans with Pelican Bomb, A Studio in the Woods, and Tulane University starting in 2017 and a solo exhibition project opening in 2018. 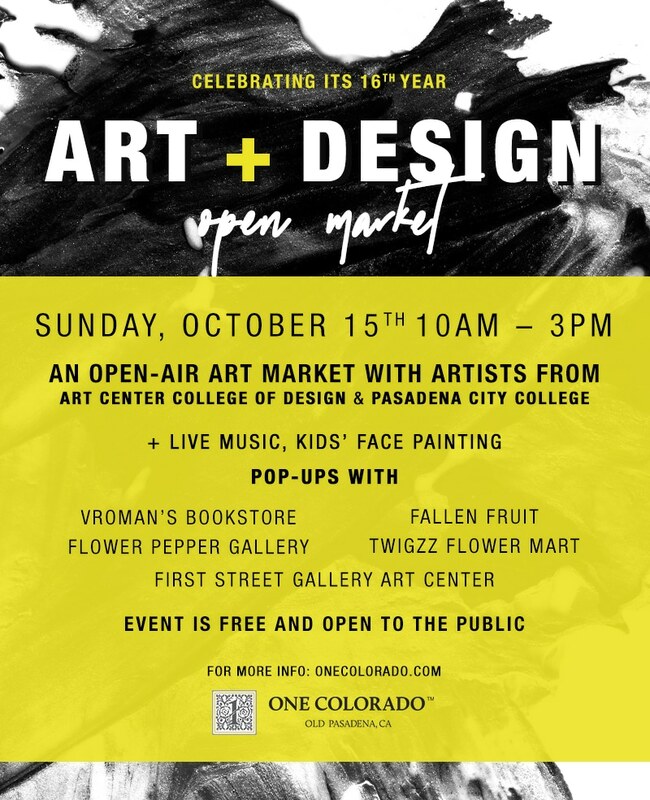 Help support our ongoing work and The Endless Orchard: We are excited to edition new Fallen Fruit items for sale! Visit our ONLINE STORE. 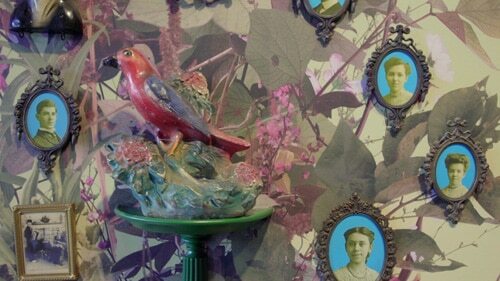 Visit the group show, “By the People”, currently on view at Cooper Hewitt Smithsonian Design Museum. Harvest/Haerfest focuses on reaping (harvesting) the “fruits” (including vegetables and fish) of our labor over a growing season, and offers an opportunity to join forces with creative artists to encourage and celebrate the commitment of Bronxites to the value of healthy food and the diverse cultures in the Bronx that influences our awarenesses. at the Bronx Music Heritage Center at 1303 Louis Nine Blvd, Bronx, NY. 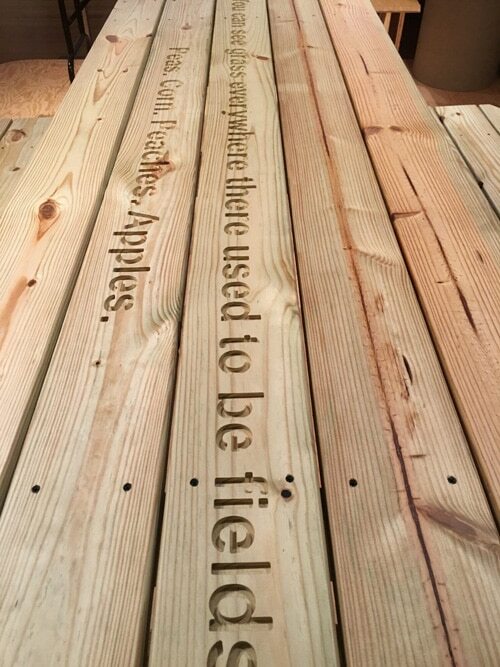 As part of the exhibition, Fallen Fruit will plant fruit trees to create the first Urban Fruit Trails in the Bronx ! This exhibition series is designed to shine light on the fact that although The Bronx is at the heart of New York City’s food system (the Bronx Terminal Produce Market supplies fruits and vegetables to supermarkets and restaurants across the city, feeding millions of its inhabitants), ironically, many parts of the borough are identified as “food deserts.” This paradox engenders questions that this exhibition series seeks to answer: How are Bronx residents affected by the available food choices? What are the challenges for a 21st-century city to feed all of its population? How are ideas of sustainability, livability and healthy environments being explored in our borough; and how should they be implemented for the future health and well-being of our community? What roles can artists, community organizations and local activists play within these scenarios? The conceptual framework of Food: Systems, Surroundings & Sensibilities addresses these questions in order to identify inspiring and achievable solutions through the cross-fertilization of artists with our community’s diverse groups of inhabitants, and within its specific and distinctive landscape. This project is supported in part with public funds from the National Endowment for the Arts, Art Works; The New York City Department of Cultural Affairs in partnership with the City Council; and The New York State Council on the Arts with the support of Governor Andrew Cuomo and The New York State Legislature. Related education and public programs are supported, in part, by Con Edison, the 42nd Street Development Corporation, the New Yankee Stadium Community Development Program and the generosity of our patrons. 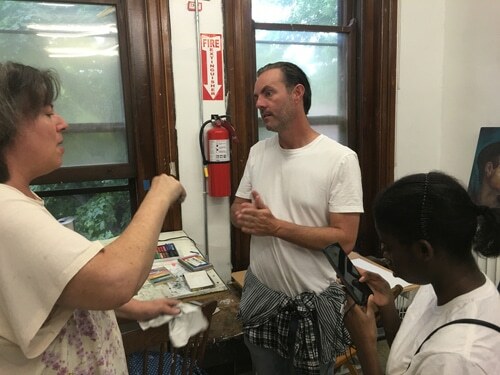 The Bronx River Art Center expresses its appreciation for the support of The City of New York, Mayor Bill de Blasio, Bronx Borough President Ruben Diaz Jr., Council members Ritchie Torres, Andy King and members of the Council’s Bronx Delegation. Fruitique with us! Last 2 days! 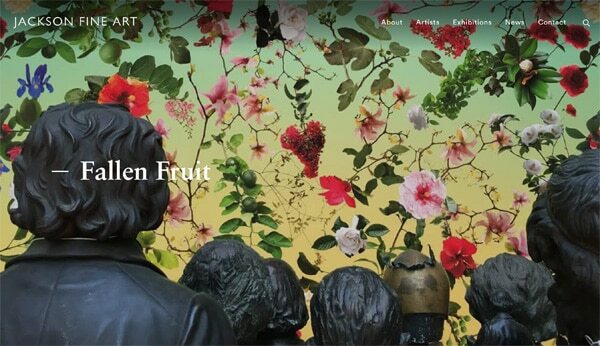 After an incredible 323 days, featuring over 50 artists and more than 150 works of art, the LA 2050 Arts:REstore LA & Hammer Museum installment of Fallen Fruit’s Fruitique! is coming to a close. We would like to thank Allison Agsten, Gloria Gerace, Sarah Stiffler and the entire Hammer Museum for the opportunity and on-going support. Also Steve Sans, UCLA Student Association Westwood Village, Topa Property Mgmt, and everyone who helped make our first Fruitique! a success. Please come by on Friday, September 19th or Saturday, September 20th from 11-7pm, and have a fresh squeezed mimosa to toast our final days in Westwood, before we move on. All items will be discounted 25%. Fallen Fruit’s Fruitique! 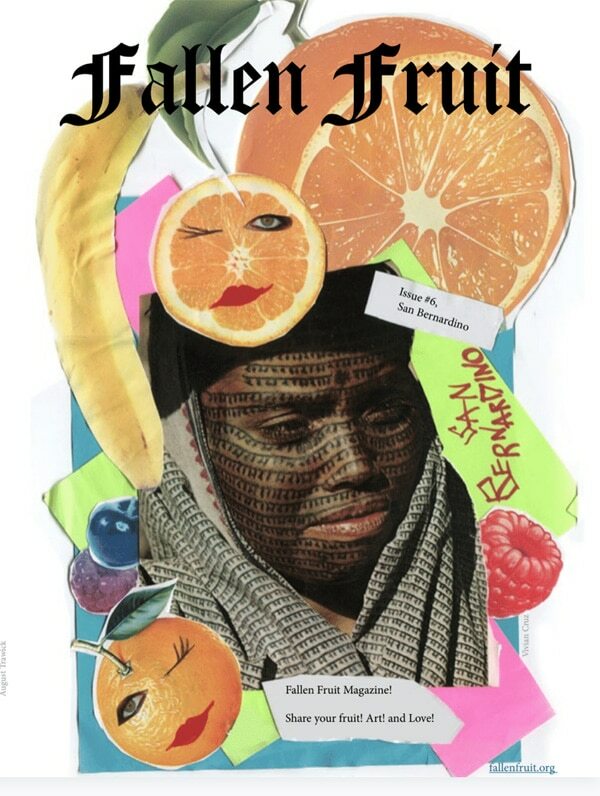 is an on-going, collaborative, art installation that combines hand-picked vintage items with contemporary fine art and every-day objects that use fruit as a theme. Keep your eyes peeled for another installment in a new city soon! *parking is $3 at the Hammer Museum around the corner. Submit your art! 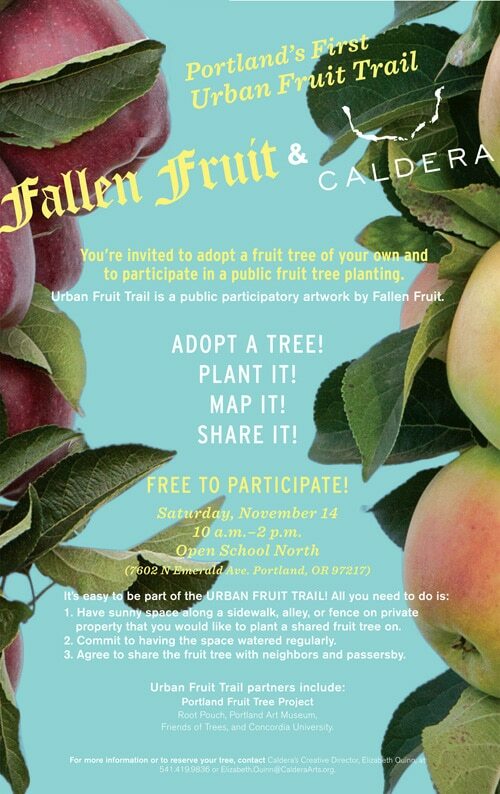 Fallen Fruit and WonderRoot Public Atlas project! 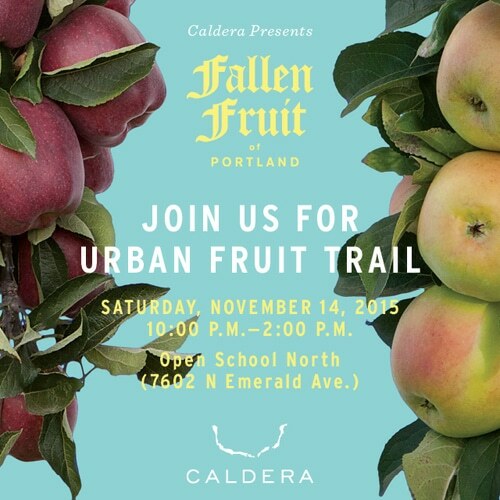 Fallen Fruit and WonderRoot invite everyone to share a story and art! Write , draw, photograph or paint! 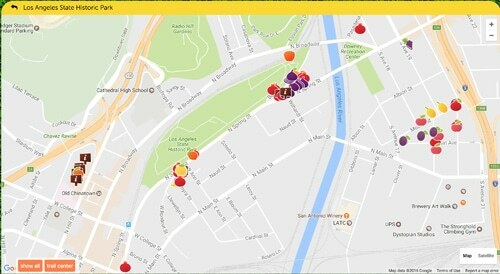 Fallen Fruit will create a map marking the locations of each artist’s work. PUBLIC ATLAS will be on view Sunday, October 20th in Cabbagetown and Reynoldstown in Atlanta where participants from all over the city can collect images and stories at specific sites throughout the neighborhood to create their own artbook: PUBLIC ATLAS- by Everyone who participates. The PUBLIC ATLAS is in association with the exhibition Fallen Fruit of Atlanta, Atlanta Contemporary Art Center, October 19th-December 14th, 2013. Follow the link for the more information about the opening of Fallen Fruit of Atlanta and Atlanta Contemporary Art Center. Works will be small 4”x5” in area size and may include; drawing, painting, text, photography, performance scripts, meditations, etc. Email us a pdf or jpg of your art. If you are inspired to participate in a way that is within the context of the PUBLIC ATLAS but not able to exist on a small page, email us and we will figure it out. RSVP to Stephanie@wonderroot.org by October 10. You will have an additional 5 days to create your piece for the project. Sunday October 20th from 3-5pm, the streets of Reynoldstown and Cabbagetown will become the sites where everyone can collect stories and compile their own Atlas. Depending on the route you take and the connections you make, the pages in your Atlas will be unique and create your own personal field guide for future explorations. 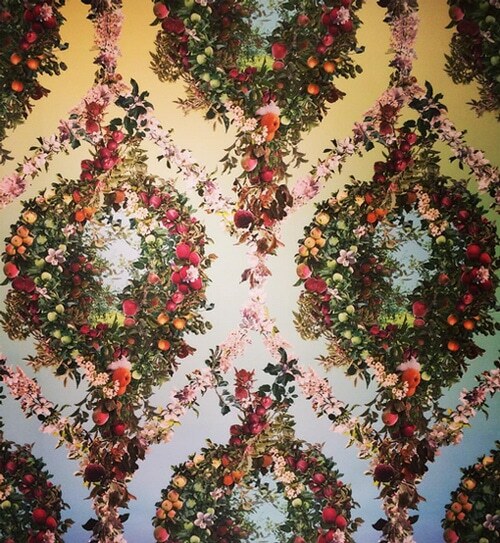 FALLEN FRUIT FACTORY – – Call for collaborators! DO YOU EVER EAT FRUIT? ARE YOU AN EXPERT ON THE FLAVOR OF A BANANA? FALLEN FRUIT IS LAUNCHING A NEW PROJECT AT MAKER CITY LA ON SATURDAY, SEPTEMBER 21st FROM 5PM TO 9PM WITH LIMITED SPACE FOR PARTICIPATION. Become a collaborator in creating our upcoming project for The Hammer Museum. WE ARE TRANSMORPHING HAND-PICKED THRIFT STORE FRUIT OBJECTS INTO MAGICAL ART OBJECTS THROUGH A PROCESS CALLED THE FALLEN FRUIT FACTORY. ANYONE CAN PARTICIPATE BUT SPACE IS LIMITED. MAKE IT HAPPEN! RSVP. FIRST COME, FIRST SERVED. Endless Orchard is a traditional grid of fruit trees is amplified by mirrors, creating an illusion of endless fruit trees from various angles. The flashy technology of spectacle contrasts with its opposite, the quietly growing fruit tree. One is fast, and the other is slow. One is all surface, and the other is all substance. It’s a lens on the relationship between our food and its history and how we live today. It interrogates our use of land, our values, and how we sustain one another. It asks us to take a closer look. Forty years from now, Los Angeles would have a completely different landscape. All arable land would be adapted to generate fruit and produce. The city would be a kind of permaculture food forest. This doesn’t mean that it won’t be beautiful. We take advantage of the natural beauty of fruit and fruit trees, the fragrance of their flowers, and the soothing charm of their green leaves — all demonstrated to improve mood and quality of life. 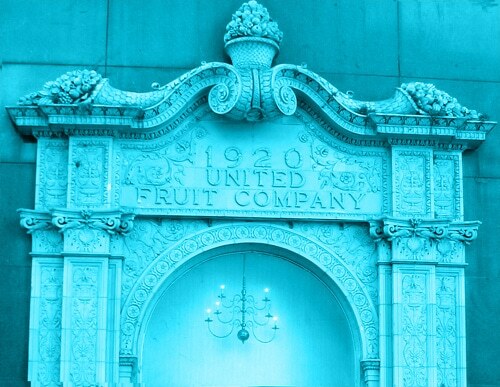 We collaborate with the public to make art using fruit at as a common denominator to change the way you see the world.